When will be Insight next episode air date? Is Insight renewed or cancelled? Where to countdown Insight air dates? Is Insight worth watching? 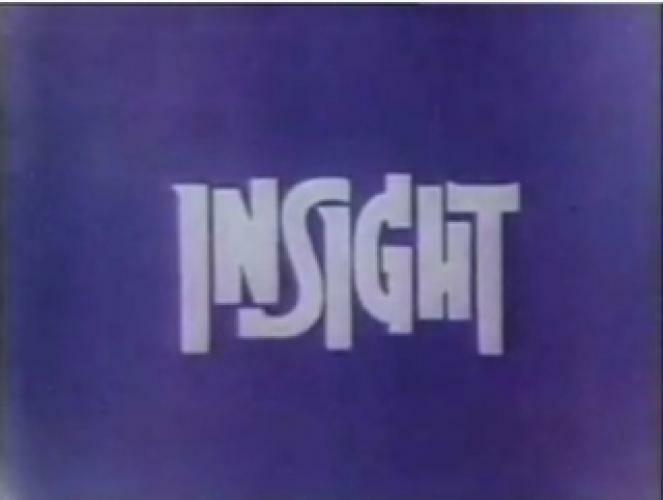 Popular, award-winning religious program Insight aired from 1960 to 1983. The purpose of the series was to dramatize the deep ethical and spiritual conflicts of modern man in a way that suggests a humanistic solution.... Some subjects explored in the upcoming Insight series included dishonesty in marriage, college agnosticism, psychology of hate, guilt and death, automation, narcotics, spiritual isolation, racism, hypocrisy, morality of warfare, alcoholism, and community-police relations. Father Ellwood E. Keiser, the producer-host, stated that the show was concerned "with the dignity of man in the modern world, caught between the confusing forces of good and evil, between strength and weakness." The series' aim was to create a "God-centered universe into which non-believing viewers will be invited to enter and look around." It was produced by Paulist Productions in California, and the well-known actors who appeared regularly on the show worked without pay. EpisoDate.com is your TV show guide to Countdown Insight Episode Air Dates and to stay in touch with Insight next episode Air Date and your others favorite TV Shows. Add the shows you like to a "Watchlist" and let the site take it from there.